There are optional features available in Windows Operating Systems and Windows 10 is not an exception either. We can easily enable or disable those features via "Turn Windows features on or off" under Control Panel. 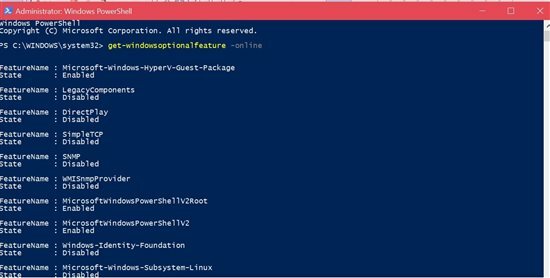 Instead of using Control Panel it is easier to use PowerShell in this regard and manage the optional features. 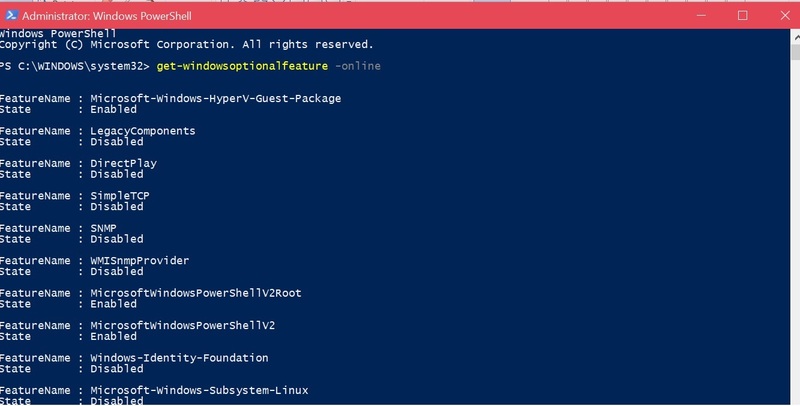 Use the following commands to enable or disable any feature. Note: Disable does not support the -All parameter. In above command, we are seeing enabling and disabling DirectPlay feature.